Royal Baking Powder Double Acting. 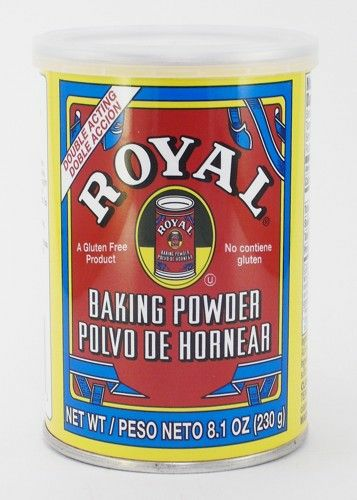 Royal Baking Powder is the essential ingredient for your baking needs, its perfect for cakes, bread, cookies, muffins, scones, biscuits,etc. 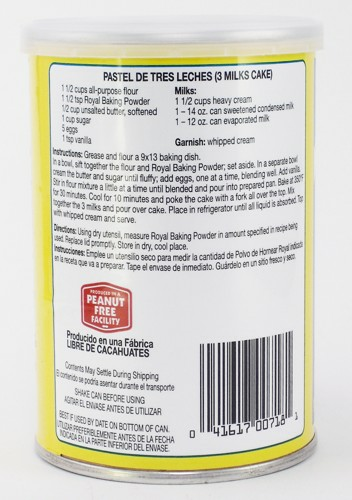 It is a dry chemical raising agent that increases the volume of your baking goods and lightens their texture. 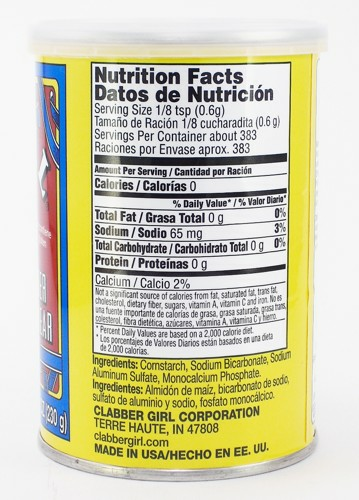 Ingredients: corn starch, sodium bicarbonate, sodium aluminum sulfate, monocalcium phosphate. Royal Polvo de Hornear Doble Accion. 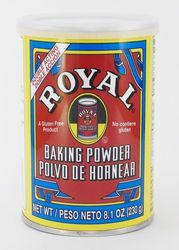 Royal Polvo de Hornear es el ingrediente esencial para todas sus necesidades culinarias, es perfecto para pasteles, pan, galletas, muffins, etc. Se trata de un producto quimico seco gasificante que le da volumen a sus productos para hornear y aligera su textura. Ingredientes: almidon de maiz, bicarbonato de sodio, sulfato de aluminio y sodio, fosfato monocalcico.